Point of Purchase Display for Wholesale Accounts only. Free 2-sided Countertop Spinner with purchase of 240 or more Keychains. 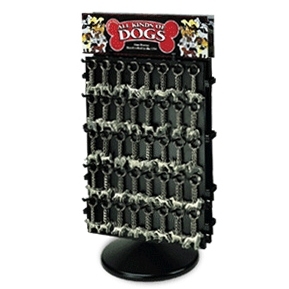 Holds 3 - 5 Keychains per peg with 80 pegs on the display (40 per side).